Just announced . . . 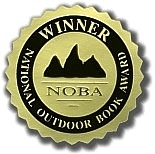 The National Outdoor Book Awards (NOBA) is the outdoor world's largest and most prestigious book award program. 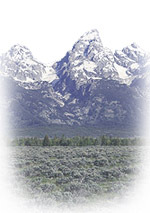 It is a non-profit, educational program, sponsored by the National Outdoor Book Awards Foundation, Association of Outdoor Recreation and Education, and Idaho State University. The purpose of the awards is to recognize and encourage outstanding writing and publishing. Each fall in early November, the NOBA Foundation announces the winners of the ten categories making up the program, including History, Literature, Children, Nature, Natural History, Instructional, Adventure Guidebook, Nature Guidebook, Design, and Outdoor Classic. The program has very high standards of fairness and objectivity and has no connection whatsoever to any publisher or publishing business interest. The winners are chosen by a panel of judges consisting of educators, academics, book reviewers, authors, editors, and outdoor columnists from throughout the country. Once selected, the books are publicized through wire service stories, press releases, and announcements at related websites. On this website, you'll find lists of winning books, reviews of past and present winners, cover scans, and links to sources with additional information. It's our hope that you'll find the website educational and useful. For members of the media, we have included a press information page with the latest press releases and high resolution scans of winning books. A special service is also available to website developers. In return for a link to the NOBA site, web masters are welcome to use our reviews and cover scans on their own sites. Publishers and authors will also find application forms, entry rules, and information on how to nominate books for the annual awards. Media information: press releases, art work, cover scans & press release download area. Schedule: When nominations are accepted. When awards are announced. The National Outdoor Book Award medallion is displayed on the covers of winning books. Websites carrying information about the National Outdoor Book Awards are welcome to use the medallion. Different sized images are available here: medallion images for web use. Additionally, high resolution images are available for print media use: high resolution medallion images.